This set is really cute. 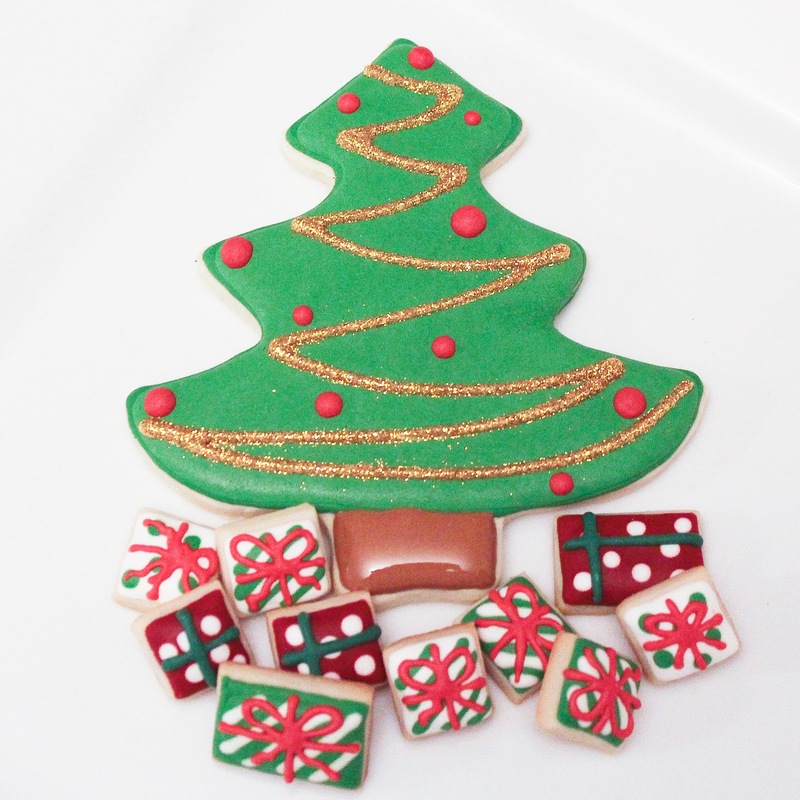 Did you use luster dust for the gold on the tree? You have a COOKIE ROOM??? I want one, too :( Everytime I want to bake cookies I take over the whole house! Make them in the kitchen, cool them in the living room, decorate in the dining room...and when dinner time comes, we don't have a place to sit! Haha I frustrate everyone. Love the glitter on the tree garland and those teeny tiny decorated presents are adorable.